Awoo! The howl of a wolf shakes the internet from its slumber, Okami returns. Clover Studio’s PlayStation 2 cult classic is getting a high definition facelift in Okami HD. The re-release will be coming to PlayStation 4, Xbox One, and PC on December 12 2017. Okami HD will support 4K resolution (Only on PS4 Pro, Xbox One X, and PC) but can still be played in the classic 4:3 aspect ratio it was originally released in. Known for its striking sumi-e ink painting visual style, and beloved wolf protagonist, Okami is both critically acclaimed and beloved by its fan base. Poor sales during its initial PS2 release in 2006 would make it the one of the last games that Clover Studio would produce. The story of Okami follows Amaterasu, the Shinto goddess of the sun, who is called upon by the villagers of Kamiki Village to restore the world from the devastation wrought by the evil demon Orochi. Amaterasu wields the Celestial Brush, allowing the player to paint ink symbols to solve puzzles and fight enemies – leaning into its stunning sense of Japanese style paintings. As you travel across the corrupt world of Nippon the game immerses you in Japanese folklore, creating both a narrative and visual experience unlike anything else. 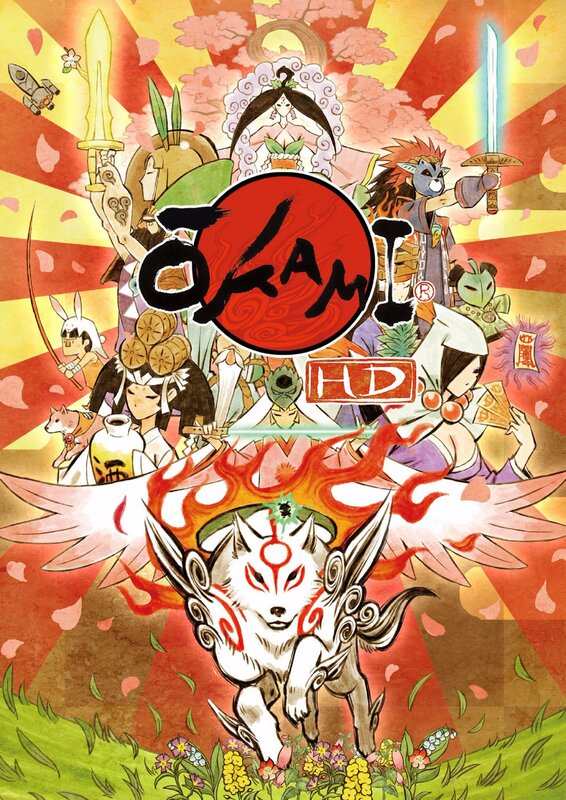 Okami HD will be sold for $20 USD, and in my opinion a must buy.